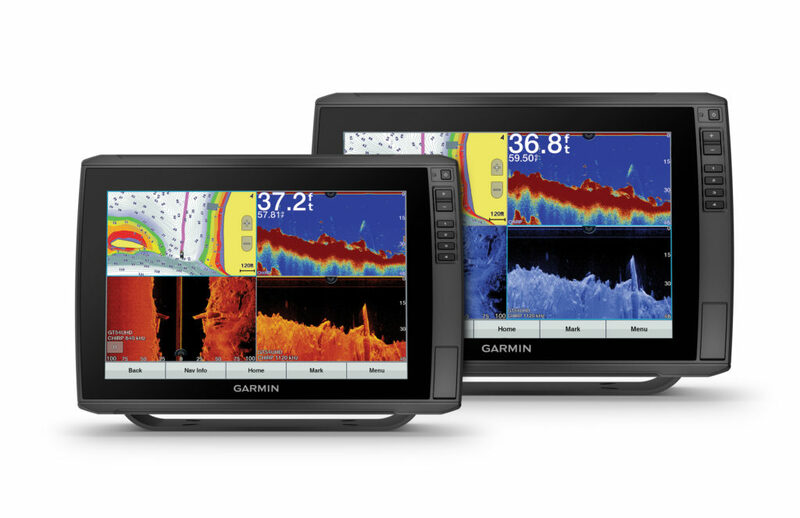 Garmin introduces the Echomap Ultra series, a new line of keyed-assist 10- and 12-inch touchscreen chartplotters designed to bring professional performance to inland and nearshore anglers. 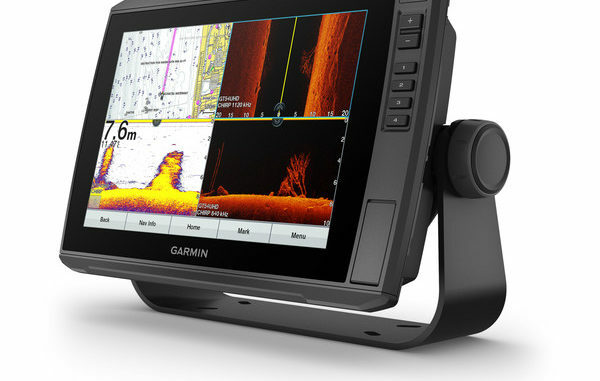 Offering a best-in-class sonar solution, the Echomap Ultra series has built-in support for Garmin’s crystal-clear Ultra High-Definition scanning sonar as well as the award-winning Panoptix LiveScope series, including the new single-array LVS12, that delivers live scanning sonar images of structure, bait and fish swimming below and around the boat in real time. Preloaded with Garmin’s latest and most detail-rich cartography—both LakeVü g3 maps and BlueChart® g3 charts with integrated Navionics® data and Auto Guidance1 technology— the Echomap Ultra series has the power and functionality to meet the demands of today’s anglers. For crystal-clear scanning of fish and structure, the Echomap Ultra 106sv and Echomap Ultra 126sv are available bundled with the new Ultra High-Definition GT54UHD-TM all-in-one transducer that provides the highest ClearVü™ and SideVü scanning sonar images and amazingly clear high wide CHIRP traditional sonar. For extended range and depth performance, the GT54UHD-TM’s SideVü operates at 455 kHz. Echomap Ultra Ultra chartplotters are also compatible with the full line of Panoptix™ all-seeing sonar transducers, including the new Panoptix LiveScope LVS12 and the Panoptix LiveScope System, so anglers can see real-time sonar imagery at video-like speed. The new Echomap Ultra Ultra 106sv and Echomap Ultra Ultra 126sv are also available without a bundled transducer. These new chartplotters are the first in the Echomap Ultra product line to offer both LakeVü g3 and BlueChart g3 cartography products for the U.S. and Bahamas built-in for inland and near-shore boating and fishing. 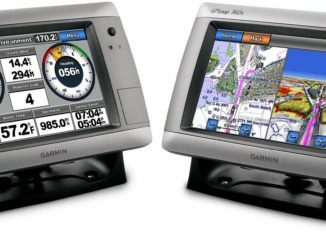 The new g3 maps and charts blend the best of both Garmin and Navionics content together to deliver unparalleled coverage, detail and convenience to users with navigational aids, spot soundings, depth contours, tides and currents, artificial reefs and fish attractors and detailed harbors and marinas. The new g3 cartography also integrates Garmin Auto Guidance, a technology that searches through relevant charts to create a suggested route based upon the user’s desired depth and overhead clearance. For international use, the Echomap Ultra 102sv and Echomap Ultra 122sv are available with a worldwide basemap. Staying connected on and off the water with the Echomap Ultra series is easier than before. 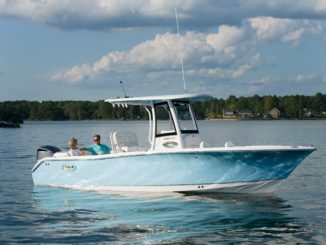 On the water, sonar, waypoints and routes can be shared across multiple Echomap Ultra units as well as the Plus 7- and 9-inch units. 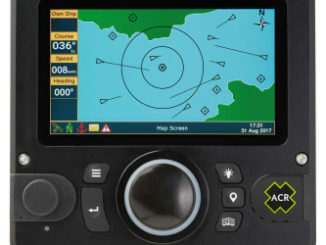 The new device also has NMEA 2000 connectivity and support for heading sensors, autopilots, digital switching and more. And thanks to built-in Wi-Fi®, anglers can take advantage of the free all-in-one Garmin ActiveCaptain® mobile app that creates a simple yet powerful connection between a compatible mobile device and an Echomap Ultra. ActiveCaptain allows users to update and purchase maps and charts from the OneChart™ storefront on a mobile device anytime, reference the ActiveCaptain community for marina and other points of interest details, access to Quickdraw™ Community data and more. ActiveCaptain also provides smart notifications2 directly to the chartplotter, over-the-air software updates, off-vessel planning capabilities and so much more.